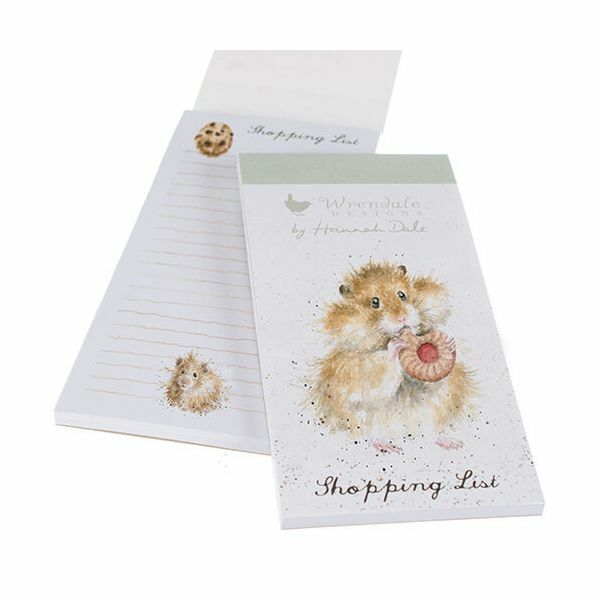 Hannah Dale's delightful illustration of a cute hamster filling its cheeks with a tasty biscuit appears on the front of this Wrendale 'The Diet Starts Tomorrow' Shopping Pad. Further illustrations by this award-winning artist appear inside on the fully lined pages. The Shopping Pad features a textured FSC board cover and a handy magnet on the back so it can always be kept close at hand.